TOKYO : March 31, 2009 - Fuji Heavy Industries Ltd. (FHI), manufacturer of Subaru automobiles, today announced the unveiling of the all-new Legacy sedan (U.S. specifications) at the New York International Auto Show (press days on April 8 and 9, open to the public from April 10 through 19). 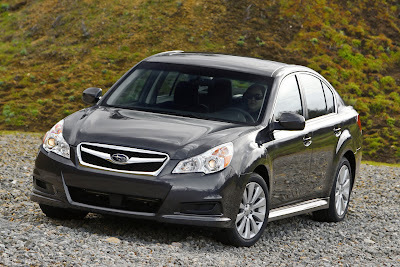 The new sedan will be introduced in the U.S. market as the 2010 Legacy. In the 20 years since the introduction of the first Legacy model, FHI has remained committed to enhancing both sporty handing and safety technology and has made significant improvements to this fifth-generation Legacy sedan. Featuring Subaru’s core technology, symmetrical All-Wheel-Drive (AWD), along with FHI’s original Horizontally-Opposed (BOXER) engine, the all-new Legacy sedan draws together superb driving performance and vital environmental considerations, while providing increased room and unparalleled comfort. The new Legacy sedan also features the new Subaru Lineartronic™ CVT (continuously variable transmission) and a new engine cradle design. On an all-new platform, the new Legacy sedan offers roominess comparable to mainstream midsize sedans in the North American market that are built around comfort and space. The new Legacy sedan is 35 mm longer, 90 mm wider and 80 mm higher than the previous model. While its overhang dimensions are shortened by 45 mm, its wheelbase is expanded by 80 mm, allowing for additional rear legroom. The trunk is enlarged and offers larger volume than the previous model, while its opening is also wider and placed lower for easier access and utility. The trunk will accommodate four nine-inch golf bags. Based on the design concept of Presence, the new Legacy embodies advances in the Legacy sedan styling, combining boldness and beautility into its sporty look. 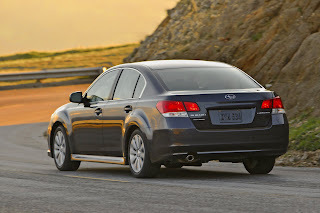 Overall exterior design, accentuated by sharp edges and character lines, highlights the vigor of the new Legacy. Prominently projected wheel arches express the power running through the Symmetrical AWD system, enhancing the presence of the Legacy. A distinctive wing-shape embellishment on the front grille shows the Subaru brand identity, and the front bumper designs accentuate flat horizontal surfaces. 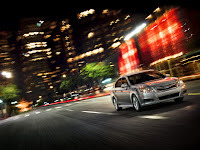 Embellished with solidly-designed headlamps, the front face of the Legacy makes a bold, powerful statement. The cabin with dynamic design and a shorter deck give the vehicle a sporty appeal, while volume and power of the vehicle are expressed in the rear-end design, rounded and capacious and framed by the combination lights. Moldings around the windows accentuate the sleek design of cabin area with a quality feel. For interior design development, Subaru focused on the key words, Active and Quality Feeling. A new interior design echoes the dynamic exterior lines and shapes and creates a more spacious cabin. The new instrument panel, accentuated by sharp edges, creates the impression of more laterally-opened space in the front. A sense of powerful presence and fine quality is expressed in the center console shapes and in the decorative hairline finish on the surfaces of the console. The incorporation of a new electronic parking brake eliminates the need for a side break lever and creates more space for the center console. The center console features two cup holders arranged side by side, and the console box and arm rest are enlarged to provide more inside storage space. Both front seats excel in comfort and support, and their stitched fabric emphasizes the Legacy’s sporty look. A 10-way driver’s seat, with power lumber support adjustment, and 4-way power front passenger seat are available on premium-grade models. A newly-designed 3-spoke steering wheel provides a sporty feeling and comes with audio and cruise control buttons. 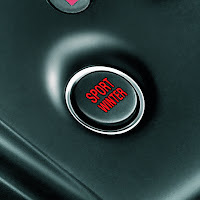 Steering wheel paddle shifters are featured on models with automatic transmissions and Lineartronic™ CVT. The four dials on the instrument panel are outlined with aluminum-steam-plated meter rings, and, for immediate reading, their illuminated backgrounds are always on. A multi-information display with average-MPG indicator is located in the center of the dashboard. Employing a resin-based intake manifold, the engine is now lighter in weight and improves low speed range torque. Additionally, better fuel economy is achieved through engine cooling performance improvement in an engine head. 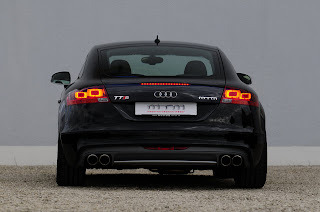 Optimizing the specifications of its catalyst, the engine offers outstanding exhaust gas control. Design changes in the turbocharger have raised performance and lowered emission levels. Peak torque is generated at levels as low as 2,000 rpm, and sustained smoothly at higher rpm ranges. The turbocharger unit is placed directly under the forward part of the crankshaft. This layout shortens the distance that exhaust gas must travel, increases response with smoother turbocharging and improves filtering of emissions. It also helps to lower the vehicle’s center gravity, which results in more efficient weight distribution. Featuring the same external dimensions as the earlier 3.0-liter engine, the new 3.6-liter engine is compact and lightweight. The Active Valve Control System (AVCS), which incorporates variable valve timing on both the intake and exhaust valves, optimizes power delivery across the engine’s speed range while helping to reduce emissions. Not only does the 3.6 engine offer greater performance than the previous 3.0-liter unit, but it does so economically by using regular grade fuel. The 3.0-liter engine required premium grade. The Subaru Lineartronic™ CVT (continuously variable transmission) offers superb driveability and fuel economy. Chain-type CVTs boast higher torque delivery capacity and lower friction, helping provide better fuel efficiency than belt-type CVTs. The Lineartronic™ CVT employs smaller pulley cores, which makes the unit compact. And due to the significant size difference between the smallest and largest pulley core diameters, the CVT provides infinite variability between the highest and lowest available ratios, helping to keep the engine operating in its most efficient range. With a perfect balance of torque delivery and engine revolutions, the Lineartronic™ CVT provides smooth acceleration with a linear feeling in response to the accelerator pedal. The manual mode of the Lineartronic™ CVT, which a driver can choose to engage, uses six pre-selected steps that allow the driver to “shift” manually using steering wheel paddle controls. The shift response is always quick and smooth, comparable to the conventional sports AT models. Fuel economy is improved through the reduction of friction and weight in the AT unit. For the first time in the U.S. market, the six-speed manual transmission is offered with the 2.5-liter non-turbo Legacy model. The new 6MT provides excellent fuel economy and improved driveability, as well as quieter rides in high-speed ranges, thanks to its wider ratio coverage. 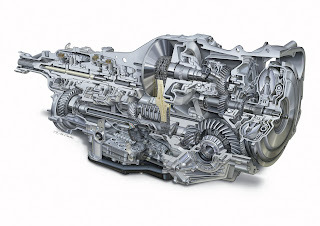 The compact design of the modified 6-speed transmission for turbo engine models is made possible by optimizing the gear layout. This unit is also more than 25 kg lighter than the previous unit. A new engine cradle design not only helps reduce noise and provides more refined ride and stability but also improves front impact safety. The engine is mounted to the cradle frame, no longer installed on the chassis. The cradle system supports the engine on four mounts that utilize cushioning rubber filled with liquid material. By situating the engine in precise relation to the torque roll axis of the power unit, the cradle system helps reduce vibration. In addition, the cradle layout allows the turbocharger to be placed under the engine, which also helps reduce emissions. The MacPherson-type strut front suspension is mounted to the new engine cradle, further improving steering response and handling and adding to overall rigidity. By changing the layout of the stabilizers with increased diameter, roll rigidity is enhanced. This keeps the stroke in line and improves ride comfort. A new double-wishbone rear suspension is mounted to the sub frame. All suspension links and the rear differential are also mounted to the sub frame via bushes, while the link bushes and shock absorber mounts are optimized to suit the new Legacy. Those enhancements have significantly lowered overall noise levels. The 2.5-liter models feature standard 16-in. wheels, in optional aluminum alloy, and 205/60R16 tires. Premium-grade models are fitted with 17-in. alloy wheels with 215/50R17 tires. 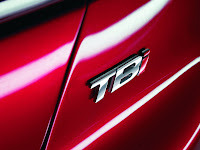 And the 2.5 turbo models are richly furnished with 18-in. alloy wheels with 225/45R18 tires. On the Legacy 3.6-liter models, 17-in. alloy wheels with 225/50R17 tires are standard. All models are equipped with a standard 4-wheel disc Anti-lock Brake System (ABS), which is augmented by Subaru’s Electronic Brake-force Distribution (EBD). Further control is offered by Subaru’s Brake Assist safety system, which is available on all models. A new electronic parking brake eliminates the traditional parking brake handle and allows for more storage space in the center console. An electronic Hill Holder System in the parking brake is automatically activated if the vehicle stops on any hill with a slope of more than 5%. Also standard on all models is Subaru’s exclusive Vehicle Dynamics Control (VDC) system, which further enhances stability and traction control capacity by optimizing the control time. Use of high-tensile steel in critical body parts contributes to weight reduction and higher overall rigidity. The engine cradle design enables more efficient impact absorption, while keeping the body dimensions and weight virtually unchanged from the previous model. The hood and trunk lid are fitted with gas springs for greater ease of operation. In the event of front impact, the engine cradle frame folds inward and causes the power unit to slide downward, thus creating greater zone of protection for the cabin space. In combination with Subaru’s Ring-Shaped Reinforcement Frame safety structure, which is designed for efficient absorption of impact, front impact safety has been significantly improved. Two impact beams have been added in each of the front and rear doors. With an optimized layout of its inner components, the door provides enough crushable space between its panels to afford another level of protection to the vehicle's occupants. Despite a shorter overhang, energy produced on rear impact is effectively absorbed through optimized frame construction. All models feature front seat side impact air bags and side curtain air bags that insure additional head protection for front and rear occupants. Intelligent dual-stage deployment front air bags use sensors to detect both the presence and weight of the front passenger and the driver’s distance from the steering wheel. And for optimal protection of occupants, the system determines deployment strength of front air bags. The side airbags and curtain airbags are enlarged to further enhance passenger protection. Newly designed high-strength front seat frames and energy-absorbing headrests provide enhanced protection against whiplash injury in a rear-end collision. Headlights are governed by an automatic lights-on and -off function that responds to specific driving situations. A 60/40 split fold-down rear seat creates a wider passage to the truck compartment. A cup holder inside the rear seat armrest comes standard. Premium grade models offer additional comfort and convenience options, including a Harman-Kardon® audio system and a power moonroof with a tilt-up and slide mechanism. 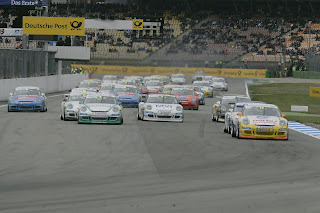 STUTTGART : March 31, 2009 - The wait for the green light to Porsche’s one-make series will soon be over: Dr. Ing. h.c. F. Porsche AG, Stuttgart, begins delivering the new 911 GT3 Cup to the teams of the Porsche Mobil1 Supercup and the Porsche Carrera Cup Deutschland. 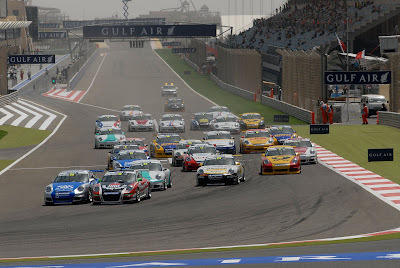 For the 2009 season, the 420 hp racing sports cars underwent modifications to details, including a new air ducting to optimise the interior ventilation. Like last season, in the international Supercup the vehicles are fitted exclusively with the Porsche Ceramic Composite Brake PCCB. TURIN : March 31, 2009 - At the recent Geneva Motor Show, Alfa Romeo unveiled numerous major developments heralding the re-launch of the brand on the global stage. 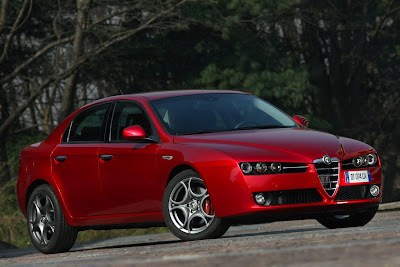 Protagonist of the event was the new Alfa Romeo 159 (saloon and Sportwagon versions). The new 159 is designed to express a sporting yet seductive personality and boasts road holding and performance that set new standards for this class of car. Two new engines in particular (a 200 HP, 1750 cc turbocharged petrol engine and a 170 HP 2.0 JTDM diesel) place the Alfa Romeo 159 firmly in market segment D, in the power range that accounts for over half of Alfa Romeo sales. The force behind the development of any Alfa Romeo engine is the company’s determination to use technology to enhance driving pleasure. This certainly applies to the development of the new, Euro 5, “1750 Turbo Benzina 200 CV” unit destined immediately for the Alfa Romeo 159 and later on for the Alfa Romeo Brera, Spider and 159 Sportwagon. This engine takes the Alfa Romeo 159, with its refined Italian styling and typical sporting elegance to an impressive top speed of 235 kph and accelerates it from 0 to 100 kph in just 7.7 seconds. 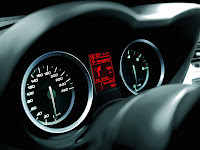 The 200 HP Alfa Romeo 159 1750 TBi is therefore a true representative of Alfa’s exclusive motoring lifestyle. Far from being a mere ‘means of transport’, the new 159 is a real driver’s car. It delivers genuine sports performance and muscular acceleration thanks to generous torque and smooth response even at low revs and the extended power band of a modern, advanced petrol engine that minimises the need for you to ‘work’ the gearbox. The engine sound too is inspiring without ever becoming tiresome. 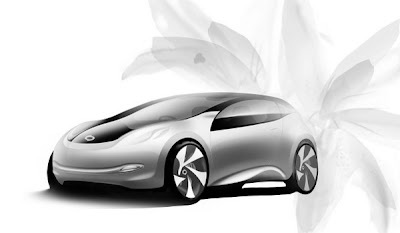 SEOUL, Korea : March 31, 2009 - Followed the SM3 show car, Renault Samsung Motors, a South Korean automobile manufacturer, has released the design sketches of its first concept car 'eMX (eco-Motoring Experience)', which is expected to be officially unveiled at the upcoming Seoul Motor Show 2009. 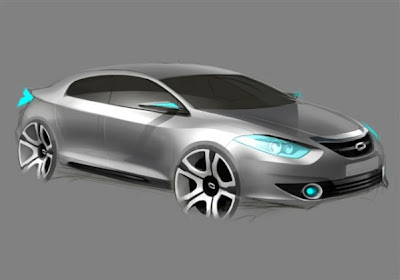 According to the first information, the 'eMX' concept was developed by more than 400 Renault engineers from South Korea, Japan and France. 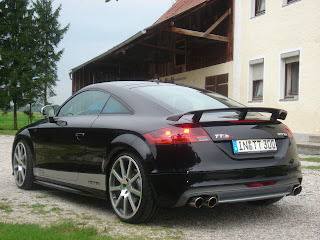 MTM, German tuner revealed its second tuned version of Audi TTS to increase power up to 380 hp. with 494 max. torque. TTS tuned package featured with engine performance tuned, exhaust system, bodykit, suspensions, and brake system with 9 x 20" MTM bimoto forged alloy rims. 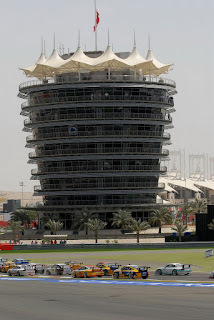 MTM claimed the top speed will be raised to 265 km/h. Wheels MTM bimoto forged rims 9 x 20"